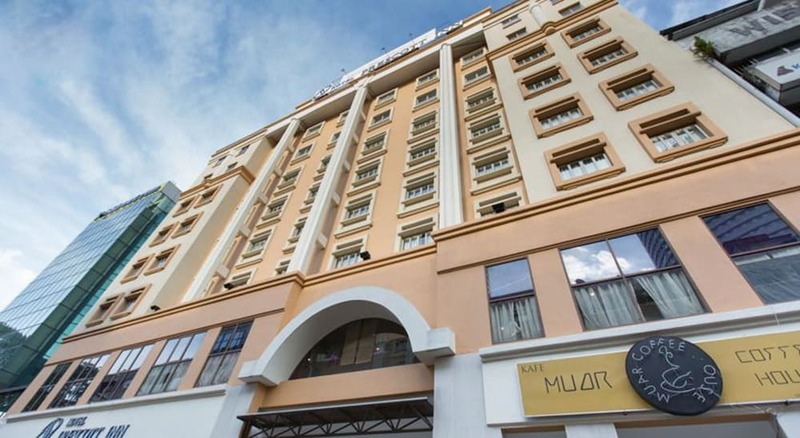 Located in Kuala Lumpur City Centre, this hotel is within a 10-minute walk of Maju Junction Mall and SOGO. Putra World Trade Centre and Petronas Twin Towers are also within 1 mi (2 km). Medan Tuanku Station is only a 4-minute walk and Bandaraya Station is 8 minutes. Along with a restaurant, this smoke-free hotel has a coffee shop/café and coffee/tea in a common area. Free WiFi in public areas and free self parking are also provided. Additionally, a business center, a meeting room, and dry cleaning are onsite. All 140 rooms offer free WiFi, minibars, and LCD TVs with cable channels. Room service, coffee makers, and hair dryers are among the other amenities available to guests. The hotel offers a restaurant and a coffee shop/café. Public areas are equipped with complimentary wireless Internet access. This 3-star property offers access to a business center and a meeting room. This business-friendly hotel also offers a vending machine, coffee/tea in a common area, and complimentary newspapers in the lobby. Limited complimentary onsite parking is available on a first-come, first-served basis. Prescott Hotel KL Medan Tuanku is a smoke-free property. Tazza Cafe - This restaurant serves breakfast, lunch, and dinner. Makana Coffeehouse - This restaurant serves breakfast, lunch, and dinner. Start your morning with a buffet breakfast, available each day from 7:00 AM to 10:30 AM for a surcharge. You can order a meal from room service during limited hours. Rollaway/extra beds are available for MYR 55.00 per night.